Many traders use the terms algorithmic trading, automated trading and high frequency trading interchangeably. But do all these terms imply the exact same thing? Let's understand the minor difference. Algorithmic Trading - As explained in a previous post algo trading enables a trader to set instructions for a computer to buy or sell stocks when the defined conditions are met. Here the trading strategy follows an algorithm. The decision about trading operation is not taken by a computer. It is a human who decided at which point to buy or sell stocks. 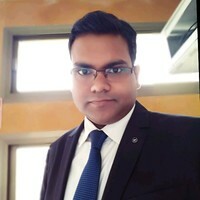 As long as the trading strategy follows an algorithm, it is labeled as 'algo trading' whether the execution part is being performed by a human or a computer (automatically). 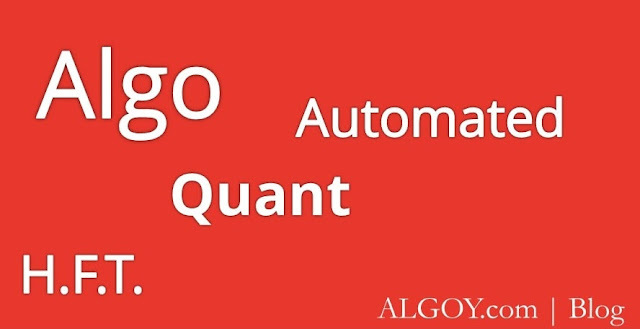 Hence, automation is limited to the trade-order execution part in algo trading. But that is not everything a computer can be used for in trading business. There are algorithms that are capable of making an investment decision and this is where automated trading comes in. Automated Trading - It is often confused with algorithmic trading. Automated Trading is the absolute automation of the trading process. Here decisions about buying and selling are also taken by computer programs. This means the order is automatically created, submitted (to the market) and executed. The automated trading facility is usually utilized by hedge funds that utilize proprietary execution algorithms and trade via Direct-Market Access (DMA) or sponsored access..
High-frequency Trading (HFT) - It is a subset of automated trading. Technology has made it possible to execute a very large number of orders within seconds. Such speedy trades can last for milliseconds or less. HFT firms earn by trading a really large volume of trades. Clearly speed of execution is priority here and HFT uses of direct market access to reduce the execution time for transactions. In short, Algorithmic Trading is basically an execution process based on a written algorithm, Automated Trading does the same job that its name implies and HFT refers to a specific type of ultra-fast automated trading. I hope this post helped you understand these terms more clearly. Please free to drop a comment. Cheers!